NILDS/UNIBEN Distance Learning Postgraduate Diploma Programme. i. POSTGRADUATE DIPLOMA IN LEGISLATIVE DRAFTING (PGDLD): Seeks to introduce participants to the techniques in legislative drafting for good governance. NILDS/UNIBEN Distance Learning Postgraduate Diploma Programme Admission Requirements. ii. Be a holder of Bachelor’s Degree in Law, not below a 3rd Class Division, in the areas of Law, from a recognized institution; relevant professional qualifications. Duration of Programmes: The duration of the Distance Learning Postgraduate Diploma Programme is 12 months or a minimum of 2 Semesters. How to Apply for NILDS/UNIBEN Distance Learning Postgraduate Diploma Programme. Candidates are to purchase application forms online with any valid VERVE OR MASTER ATM for the sum of N20,000.00. 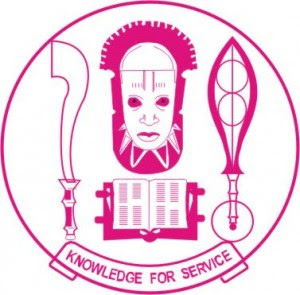 The form must be correctly filled with all information required as indicated in the instruction before submitting online and thereafter printed out from the Uniben Website, www.uniben.edu. The following documents will be printed out from the Website:- application and referee forms. Any form not properly filled will not be treated. All application processes must be completed latest Wednesday 30th April, 2018. Note: Only Passport with red background is accepted.